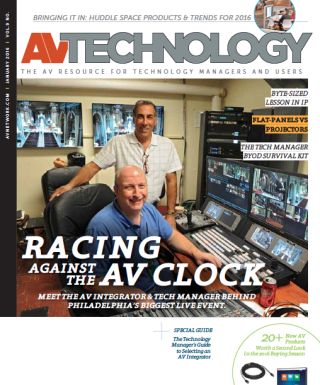 AV Technology Magazine is the only resource for end-users by end-users. We examine the commercial vertical markets in depth and help bridge the gap between AV and IT. We offer all of the analysis, perspectives, product news, reviews, and features that tech managers need to make informed decisions. Click on the magazine cover to access your free digital edition.